The dive season is well underway, visibility, nutrient rich waters, and shorter days have helped in bringing out divers to Monterey. Things are also busy at Monterey Bay National Marine Sanctuary's Office as well. The Management Plan proposal almost ready for review and we should see the results in Spring 2019. The Advisory Council has been busy this last year and half fine tuning our top ten issues related to Marine Sanctuary projects. Keith Rootsaert is happy to report the California Department of Fish and Wildlife has approved a Reef Check/PISCO application for a Special Collection Permit to perform a urchin removal / kelp restoration experiment in the Pacific Grove Gardens Marine Conservation Area west of Lovers Point. Recon efforts are presently underway with partners from Reef Check California, Monterey Bay Aquarium and Monterey Abalone Company to identify appropriate rock outcroppings. In the spring we will do urchin manipulations to determine at what urchin density kelp will reestablish. Marine Life Studies is partnering with Monterey Bay Diving and Monterey Bay National Marine Sanctuary in applying for a grant to remove derelict crab pot fishing gear and the associated abandoned crab pot lines in around Moss Landing and Southern parts of Monterey Bay. This is a huge win and we are excited to begin an active removal effort on this mountain of material. Advisory Council primary diving representative, Brian Nelson, is now serving as the Chair of the SAC Executive Committee. For the next year he will preside over the bi-monthly Advisory Council meetings and keep the trains running on time. It is nice to see our diving representative take the seat at the head table and ensure diving interests are well represented. Please keep up with the current Sanctuary Advisory Council agendas and if you see something of interest that you would like us to comment on, please send us an email. 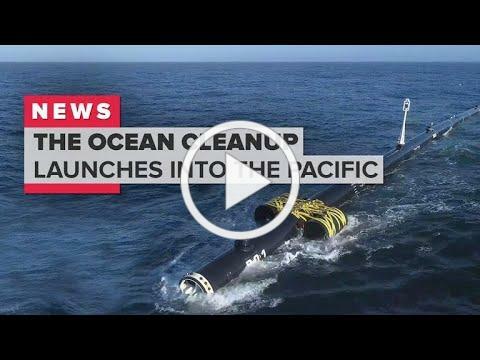 PLAN FOR OCEAN WATERS OF CALIFORNIA NOTICE IS HEREBY GIVEN that the State Water Resources Control Boa rd (State Water Board) has begun the 2019 triennial review process for the Water Quality Control Plan for Ocean Waters of California (Ocean Plan). The Ocean Plan identifies the beneficial uses of ocean waters, establishes water quality objectives for protecting those beneficial uses, and describes implementation programs for achieving water quality standards. Triennial reviews of water quality control plans are required by the Clean Water Act section 303(c)(1) and U.S. EPA Title 40 of the Code of Federal Regulations, section 131.20. The purpose of the triennial review is to identify key issues that will guide the State Water Board's priorities for future amendments to the Ocean Plan. The State Water Board will host three public scoping meetings to discuss the 2019 triennial review and solicit informal comments on potential projects or amendments to update the Ocean Plan. Potential projects or amendments may include, but are not limited to, proposing new or revising existing water quality objectives and beneficial uses, revising programs of implementation, and reviewing exceptions to the Ocean Plan. The California Fish and Game Commission took the unprecedented step last year of shutting down the North Coast's 2018 red abalone season, the idea was to give the last vestige of the state's once great fishery some time to bounce back. The decision came in the aftermath of what scientists call a "perfect storm" of ecological events that reverberated across the region, leaving formerly lush kelp forests - the primary source of food for the prized mollusk - reduced to virtual underwater wastelands overrun by marauding bands of scavenging purple urchins. Beginning in 2018, the Deep-Sea Coral Research and Technology Program (DSCRTP) initiated a new four-year research initiative in the U.S. West Coast region. The first research cruise of the initiative is aboard NOAA Ship Bell M. Shimada during October 9 - November 8, and includes survey and collection of coral specimens from priority areas within west coast sanctuaries (Monterey Bay, Cordell Bank, Greater Farallones, Channel Islands). The objective of this work is to assess habitats off the West Coast using an Autonomous Underwater Vehicle (AUV), Remotely Operated Vehicle (ROV) and CTD; focusing on Essential Fish Habitat areas proposed for modification under the Pacific Fishery Management Council's draft Amendment 28, some of which overlap with West Coast sanctuaries. During two days in late October, two AUV dives and three ROV dives characterized portions of La Cruz Canyon and a slot canyon near Sur Canyon within Monterey Bay National Marine Sanctuary (MBNMS). A member of the Resource Protection team for the Monterey Bay National Marine Sanctuary participated in the 2018 California Trash Data Dive at the San Francisco Estuary Institute. The goal of the data dive was to produce a series of data visualizations, which tell a statewide story about trash that can be used to direct monitoring design, implementation and reporting. E/V Nautilus discovers over 1,000 brooding octopuses in fluid seeps From October 20 to November 1, the E/V Nautilus completed an expedition in Monterey Bay National Marine Sanctuary, the 13th leg of the 2018 expedition schedule run by Ocean Exploration Trust (OET). Although the expedition was wrought with technical challenges and bad weather that only allowed two ROV dives to be completed, the first dive revealed spectacular finds. First, a rarely-seen "Dumbo" octopus (Grimpoteuthis sp.) 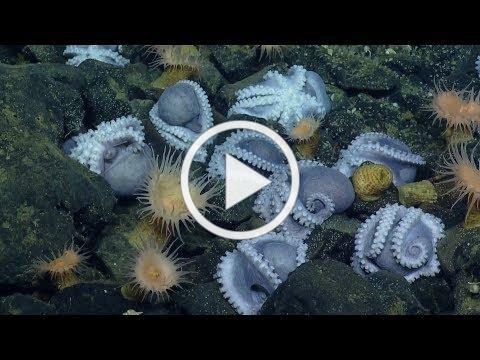 was filmed up close by the ROV Hercules, and in the last hour of a 35 hour dive, a collection of over 1,000 brooding octopuses were discovered, although the full extent of this aggregation could not be determined. California's Fourth Climate Change Assessment (last one was 2012) advances actionable science that serves the growing needs of state and local-level decision-makers from a variety of sectors. Meeting California's greenhouse gas emissions reductions remains a priority for the State, especially given updated climate impact results from the Fourth Assessment. Cal-Adapt.org provides access to the State's projections, through data sets and visualization tools. Key findings include impacts to the State and to the central coast regarding temperature, water, wildfires, sea level rise, communities, and governance. As many as 2/3 of our beaches will be completely lost over the next century! strangulation, and drowning. Courageous individuals risk their lives to disentangle these creatures and set them free, and the Foundation is proud to support their crucial efforts. Will you join our team of lifesavers? 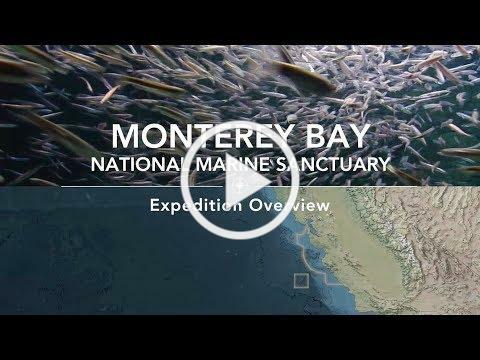 The Monterey Bay National Marine Sanctuary Foundation is dedicated to protecting the long-term health of Monterey Bay National Marine Sanctuary for the communities and species that depend on it. Your donations stay local and support our national marine sanctuary. Monterey Bay National Marine Sanctuary has become a premier diving destination, offering some of the most beautiful and pristine diving areas in the country. The City of Pacific Grove, on the Monterey Peninsula, has provided medical treatment to injured divers with its hyperbaric chamber since 1963. While the City of Pacific Grove provides for many of the chamber's operation needs, diver donations support operations and offset needed repairs that occur from time to time. Please consider a donation to help this much needed, important resource for the dive community that enjoy the sanctuary. Donations for the chamber can be made online using a credit card or a PayPal account. The credit card transaction will be securely handled by PayPal and you do not need a PayPal account to make a credit card donation. At the end of the credit card transaction you will be presented with an option to print out a receipt for your donation. Your tax-deductible donation to the Pacific Grove Hyperbaric Chamber Fund will go directly towards the facility and its operations. Monterey Bay National Marine Sanctuary (MBNMS) is a federally protected marine area offshore of California's central coast. Stretching from Marin to Cambria, MBNMS encompasses a shoreline length of 276 miles and 6,094 square miles of ocean. It is home to one of the world's most diverse marine ecosystems, including numerous mammals, seabirds, fishes, invertebrates and plants in a remarkably productive coastal environment. December 14th Monterey - Monterey Conference Center, Steinbeck Room, 9:00 am to 4:30 pm.